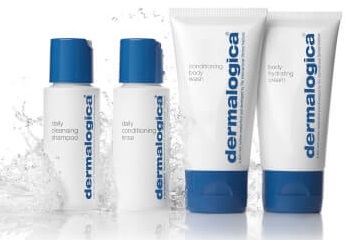 We all know the simple trick to packing like a pro is travel-sized everything (hello, Dermalogica travel mini). But, there’s even better beauty news for you this summer and that’s a host of hair and beauty trends that require very few products at all. We spoke with the expert team at RY.com.au for the hot new summer trends that will help you pack for that seasonal vacay, without exceeding your luggage restrictions. 1.Non-touring is the tourist’s best friend: Just after you’ve mastered contouring, the trend has taken a twist in the opposite direction. Summer is all about non-touring, a fresh baby-face look that’s far kinder on skin in hot, sweaty weather. Best of all, it takes just three products; primer, tinted BB cream and a highlighter. 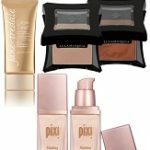 I recommend: PIXI Flawless Beauty Primer No.1 Even Skin, jane iredale Glow Time Full Coverage Mineral BB Cream and Illamasqua Gleam Highlighter. 2. Be tempted by texture: Leave the electronics at home and embrace the textured look. No matter the length – the messy, far-from-perfect hair style is hotter than the temperature this summer. Of course, not all are blessed with the effortless wave, so use a Wet Brush Pink Brush straight out of the shower to detangle without damage. For those with super straight hair, try Juuce Wake Up Texture Control, while unruly curls can be toned down with Nak Kurls Styling Creme, all available from RY.com.au. 3. Glow from within: We all love the holiday glow that comes with a little more rest and relaxation in our lives, however holidays are a great time to focus on your inner health too. Collagen supplements are the perfect way to plump, firm and hydrate skin for the ultimate holiday glow. 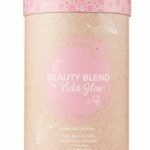 My pick is Vida Glow Collagen Supplement Sachet – Beauty Blend which comes in 30 separate packages, perfect for travelling. 4. Multi-use means more for less: While tempting to take your entire beauty cabinet away with you, weight restrictions dictate that only must-haves make it into your suitcase. Enter life, and time saving products. My ultimate favourite multi-use product is the Grow Gorgeous 11-in-1 Cleansing Conditioner. This non-foaming product cleanses your hair and conditions while working to restore your scalp health. 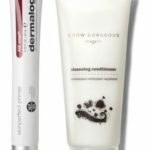 Another hardworking product is Dermalogica Skinperfect Primer SPF 30 which smooths, hydrates and protects skin from free radicals and the sun. Good enough to wear alone or under makeup. 5. Go Gradual: Because you want to be tanned on your holiday but no spending your nights scrubbing, applying and drying high maintenance tanning lotions, go a gradual tanner. Yes colour will need to build but by the end of your trip you will practically be a glowing goddess. 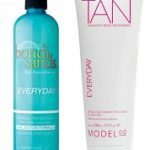 My favourites are Bondi Sands Everyday Gradual Tanning Milk and ModelCo Gradual Tan Everyday Body Moisturiser.